d, for many, is the symbol of freedom and democracy. For Native American tribes, the eagle is a sacred bird seen as a liaison between earth and the heavens. It roams the back of the dollar bill, reminding Americans of the power of money. But the bald eagle is not just a picture or symbol. It’s a bird with a rich natural history that has been at the gates of extinction- and has come back alive. The eagle is immediately recognizable. It has a body of contrasts- a bright yellow beak against a snowy white head against a dark brown body. The bird’s wingspan is huge- up to about a hundred inches in full-grown females. In flight, the eagle soars, diving occasionally for fish. Surprisingly, the white head is not called “bald” because it looks hairless, but because the eagle has contrasting black and white sections (called “piebald”). As mentioned above, when the eagle dives, it dives for a fish. 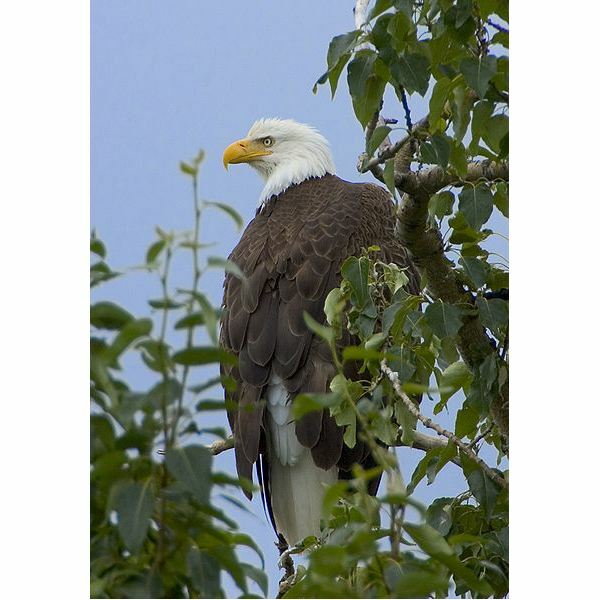 As fish make up most of its diet, the eagle tends to live near rivers, large lakes, and seacoasts. Occasionally, though, eagles will munch on other birds and carrion. Uniquely, eagles sometimes practice kleptoparasitism, or the stealing of prey from other animals. In fact, Ben Franklin opposed the use of the eagle as the national bird of the U.S. due to this practice. He believed that the wild turkey was “more honorable” than the eagle. Most Americans are probably glad he didn’t get his way. Besides the prey-theft, bald eagles are known for their nest-building, which are the largest in North America. They can be up to four meters deep, three meters across, and weigh up to a ton- heavier than a small car. The eagles return to the their nests and add sticks and leaves every year. With its soaring flight and aggressive stare, you would think that eagles are at the top of the animal kingdom. And they are- except for humans. 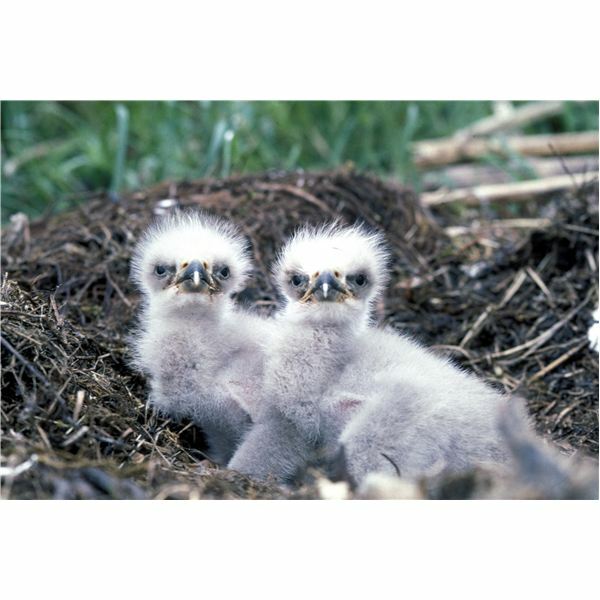 Over three hundred years, eagle populations have been in decline. In the 1700s, the eagle population was about 400,000. In the 1950s, there were only 412 nesting pairs. So what happened? Humans did. Three major factors led to this brush with death: hunting, power line collisions, and DDT. The danger of the first two is clear- poaching and electrocution will hurt any animal population. But DDT impacted the eagles in a subtle yet significant way. DDT interfered with the eagles’ calcium metabolism, making their eggs thin-shelled and weak. These eggs couldn’t stand the weight of an adult, preventing the rearing of young and almost ending the species. After eagles were placed on the endangered species list (to reduce poaching) and DDT was banned, populations bounced back. Over the past fifty years, the eagles’ status has been changed from “endangered” to “threatened” and finally was removed from the endangered species list in 1995. The eagle is a symbol of many ideas. But due to its impressive return from near-extinction, the bird is now a symbol for the dangers of human encroachment on animal life. And, more optimistically, it is a symbol of nature’s ability to overcome the hardest obstacles. It is the phoenix of North America.